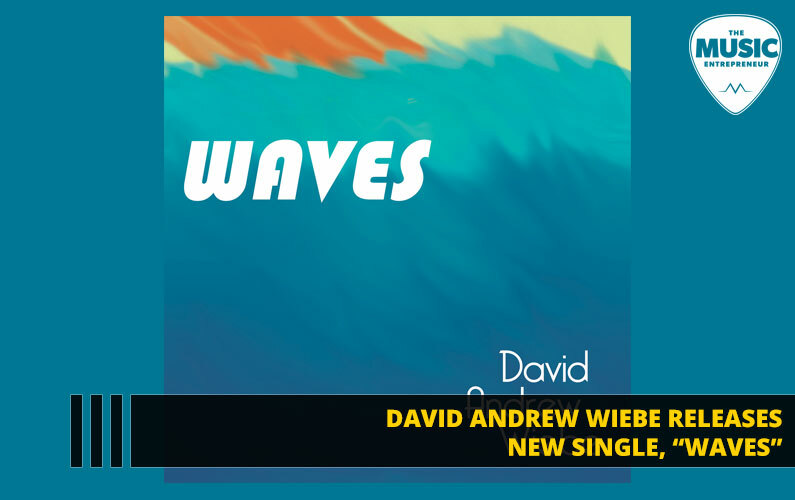 David Andrew Wiebe’s “Waves” was officially released on March 31, 2017. Though not a complete departure from other recent releases, this song features a relaxed, jazzy vibe. “Fragments” might be the closest thing in recent memory, and yet it’s different from even that, sounding more like a background track for a popular video game. We caught up with Wiebe to find out what inspired this song, and how he went about recording it. Here are his responses to our questions. Why did you pick “Waves” as your latest single? I had high hopes for other songs I had been working on up to that point, including “Feeling”, but they weren’t quite coming together as hoped. If I’m struggling with the recording process, generally I will stop working on the track and save it for later. I might come back to it, I might not. That was happening with quite a few tracks leading up to the release of “Waves”. “Waves” came together rather quickly, and that’s how I like the recording process to be. I will happily give my attention to a track that’s moving along at a good clip. If I must struggle, I must, but I will only do that for a song I believe in 100%. With “Waves”, I started with the instruments and then added in the drums later. After adding the drums, I determined that the song just didn’t sound right without them. The drums unified the instruments and added a sense of movement the track desperately needed. I chose “Waves” as my latest single because I like the song. It might seem strange to attach a lot of meaning to an instrumental, but I think it’s important. Every song has a specific vibe to it, and it tells a story, whether it has any lyrical content or not. “Waves” is sort of a tribute to Amy Winehouse, because it was the documentary, Amy, that originally inspired it. But I also wanted to try combining jazz with synthwave to create a “chillwave” or “jazzwave” track, if you will. I had already had some minor success with “City Lights”, so I was up for the challenge of fusing genres. In the end, “Waves” doesn’t sound like jazz or synthwave. It sounds more like background music for Sonic the Hedgehog. That’s a happy accident as much as anything else. I like video game music, so that’s no skin off my back. It wasn’t quite summer when I released “Waves”, but I think it works best in context of the warmest months of the year. It’s relaxing, upbeat, and uplifting. It evokes feelings of surfing or boating, or just a relaxing swim in the ocean. What makes “Waves” stand out? It’s a different kind of song for me. There is definitely music like it out there, as I’ve already pointed out, but I think it stands out in my catalog because it doesn’t sound anything like music I’ve released so far. I know, that’s kind of a “cop out” answer. In a world where there are more musicians publishing more music than ever before, it’s quite difficult to stand out. But at the same time, I don’t think there are too many people releasing the kind of music they want to release, just because they want to. I’ve been doing quite a bit of that lately. There isn’t a brand attached to David Andrew Wiebe the artist, at least not internationally. On a local level, people tend to associate me a lot with 90s pop music. “Waves” is not about commercial appeal. I hope the people that listen to it genuinely enjoy it. I hope my fans dig it. I think there are some good hooks in it, but that doesn’t automatically make it hit bound. It’s just another extension of my creative expression. If the concept appeals to you, I’d suggest having a listen. This isn’t much different from my previous setup, just that I’m using Tracktion 7 instead of Tracktion 5. I don’t mess with my setup too much, unless I absolutely have to. But I do enjoy experimenting too, and will happily try different gear if it helps me get the kind of results I want. Where can people find “Waves”? Pretty much anywhere you go to find music online – iTunes, Spotify, Deezer, and so on. Just Google “David Andrew Wiebe – Waves” if you don’t like any of those options. As per usual, it’s only a digital release, so there are no CDs or anything. But I hope you’ll take a listen and let me know your thoughts!